The Session, a.k.a. Beer Blogging Friday, is a chance for the world’s beer bloggers to get together once a month and write from their own unique perspective on a single topic. Each month, a different beer blogger hosts the Session, chooses a topic and creates a round-up listing all of the participants, along with a short pithy critique of each entry. Deep Beer is hosting The Session #128 for October 2017. The theme chosen is Bottle Shops: Good, Bad & The Ugly. So, here I am about to contribute my second (or is it third?) piece to the enjoyable conflagration of beerness that is The Session. 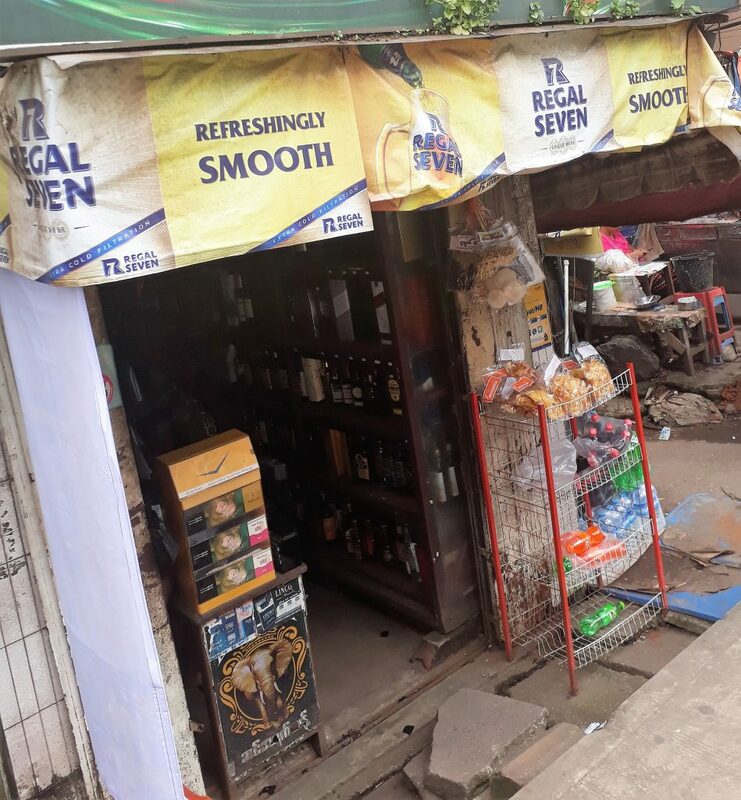 I thought that a reflection on my local bottle shop here in Yangon (Rangoon), Burma, might stand as an interesting counterpoint to most of the other pieces in the round-up. 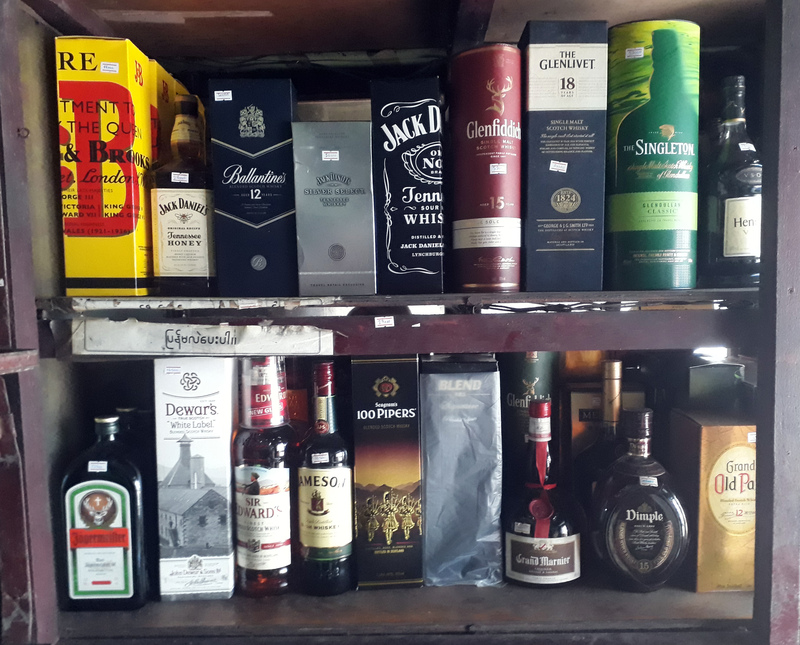 As you enter the three-metre squared room the configuration is clear: on your right are whiskeys and liqueurs, on your left are wines, vodkas and domestic liquor, and in the fridge and at the back is beer. 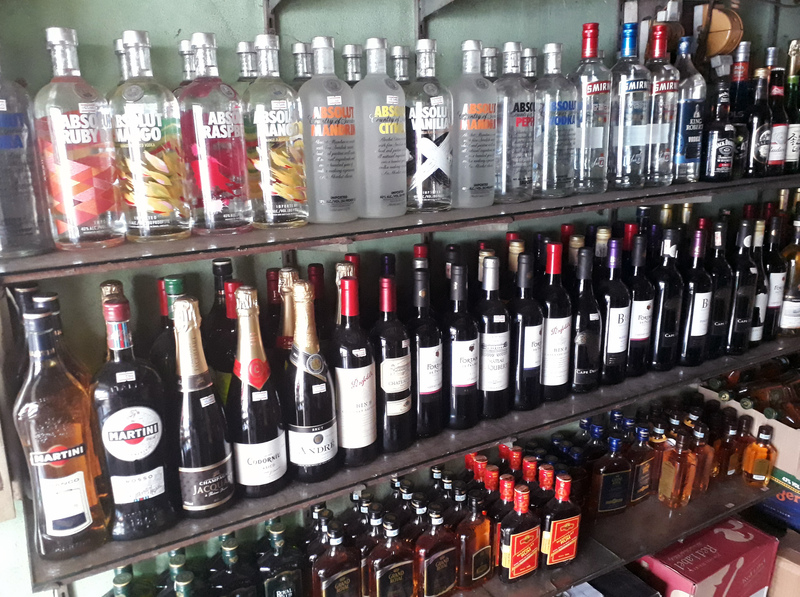 The selection of spirits is impressive for Burma – they are all illegally (or given the volume of trade, perhaps “informally”) imported. Because of the tax on spirits here any of these bottles sells for substantially cheaper than in my home, Australia. 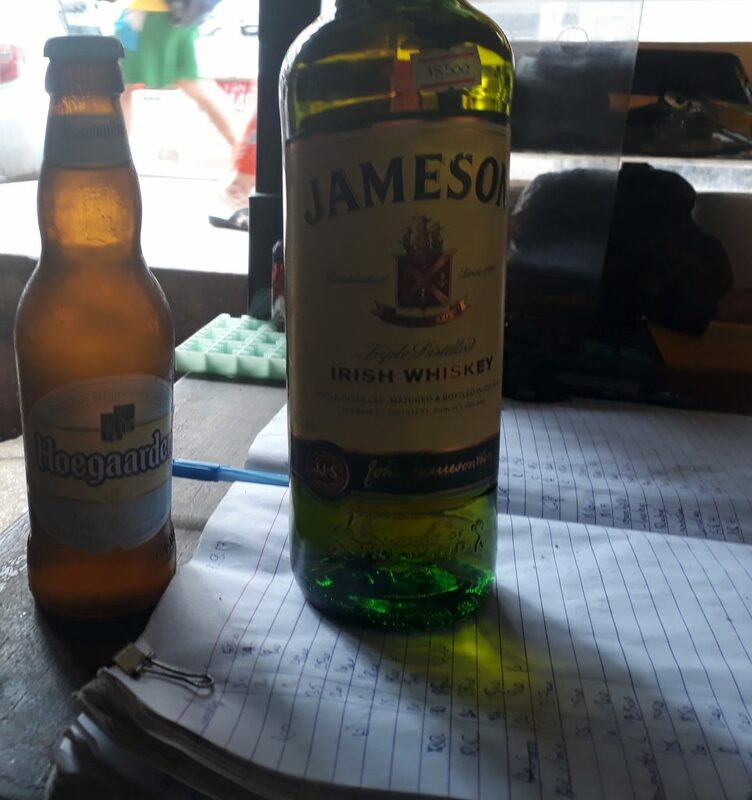 On this visit I picked up a bottle of Jameson’s for AU$18 which at home would run AU$35 or more. The big American bourbons go for much less. But a 700ml bottle of 40%ABV Myanmar whiskey sells for US$1-5, so even though the foreign whiskeys are cheap, the locals tend to opt for the Burma-distilled stuff unless they’re showing off. I have asked the owner to get in some Bushmills several times to no avail. Because he relies on border traders for stock, the variety of import supply is entirely out of his hands. They can’t just order something different; they are presented with options, and they choose accordingly. There is one particular thing I value this bottle shop for: it has Hoegaarden. 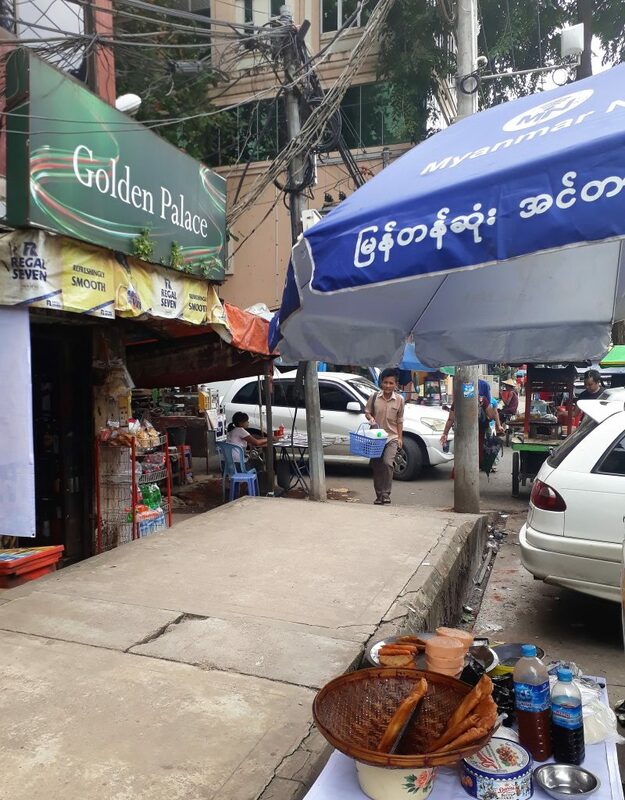 I haven’t come across witbier at any bottle-o other than the Golden Palace, anywhere in Myanmar. So when I crave that orange peel and coriander, I sidle up to the Palace and buy out their stock. 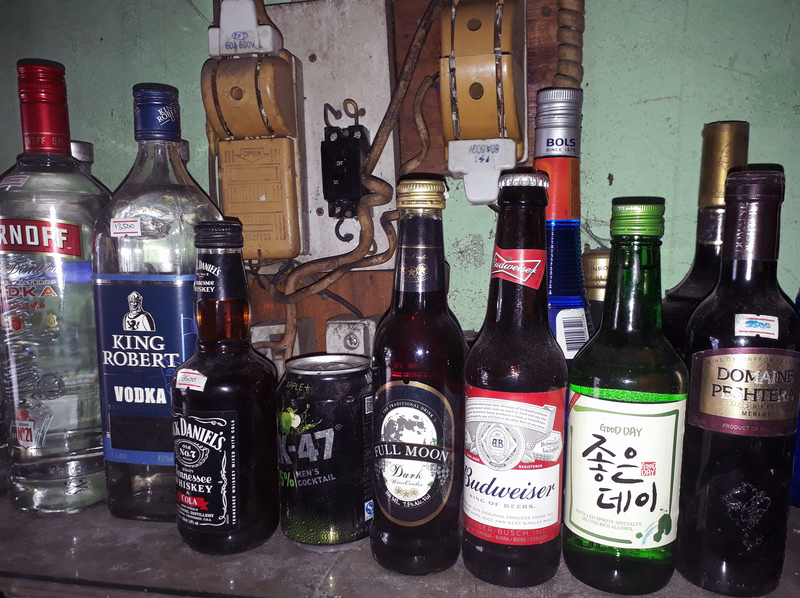 A single bottle goes for US$2. I can’t vouch for their freshness but none have ever been undrinkable. They use a simple notepad and pen for keeping track of sales at the Golden Palace. The space is so very small, but because labour is cheap there are usually at least two people working at any one time. Unlike other bottle shops, they’re never drinking on the job. On this visit, one boy was sitting and hammering flat ring-pulls from Dagon beer cans on the concrete ground. When I asked what he was doing in Burmese, he replied, “lucky draw”. He was preparing the ring pulls to send back to the brewery for cash redemption. These peculiar metal contraptions adorn the back wall, holding the domestic longneck stouts on offer. Black Shield claims to be a Baltic porter/stout, but that’s rubbish. Both these brands are tropical all the way – and not very tasty to my palate, which expects something a little more from a stout than boozy warmth and saccharine sweetness. Next Friday Burbrit, the first craft brewery in Myanmar, will be launching a London Porter and is guaranteed to be much tastier. This will be the first time Myanmar has had a domestically-produced porter for decades. 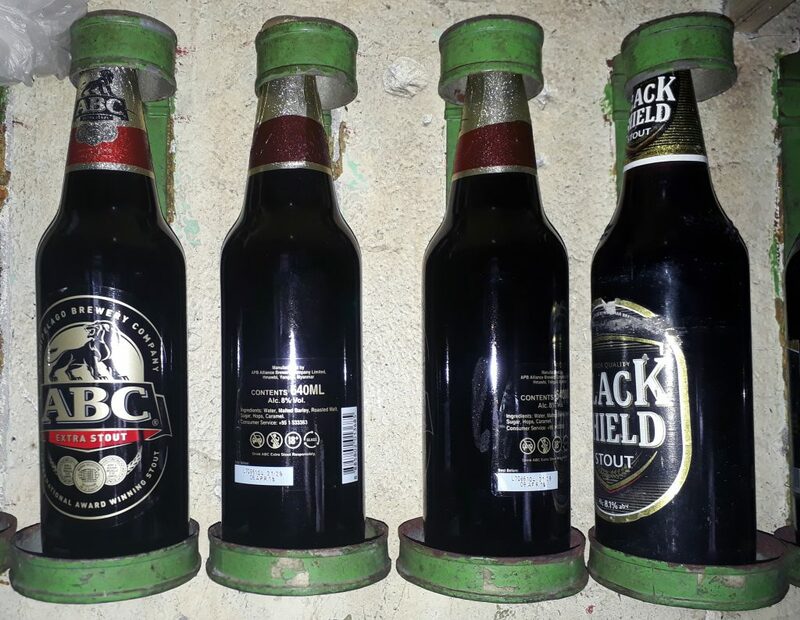 When the British first came to Burma, the soldiers of the Crown were each given a “porter ration” and the first industrial brewery was quick to brew dark beers after setting up shop in 1886. Unfortunately with independence and nationalisation so went the porter. The total of my purchases, a dead simple addition equation, is methodically put through the calculator and written into the notebook. I pay and leave, mentioning once more that I’d really, really, really like some Bushmills. A roadside stall in Kalaw, displaying dozens of dust bottles, gleaming in the dwindling sunlight. The sky is grey-blue in the east, cinnamon in the west; it is a gloomy, but dignified wet-season sunset. I screech to a halt in the slush, position the front doors of my beige hatchback over dry, rather than wet, mud and hoist my longyi. Albert follows as I assess the area. “Pineapple wine? Apple wine? Plum wine?” I ask, pointing to the array of bottles. A young boy scurries out from the gloom within the stall nodding. “What’s that one?” I ask, pointing to a bottle with more dust than usual, obscuring the writing and image on the label. The boy replies with a word I don’t understand. We go back and forth until realisation dawns: damson. “Do you know who makes this wine?” I ask. The boy doesn’t know. “Where do you buy these from?” I ask. The boy doesn’t know. “Is it a company or a family?” I ask. The boy stares at me. “Is this all you have?” I ask. The boy hesitates, then ducks inside. He is gone twenty seconds. Yes, that’s all they have. I ask Albert, my partner in wine business, which he would prefer. An enthusiastic drinker, he declares that they all sound wonderful. The boy calls out and is joined by another, older teenager, who looks around for something. He pulls out six gleaming white cardboard bottle bags, the kind ubiquitous in Australian and high-end Yangon bottleshops, and carefully puts each of the dusty, dirty, aged bottles into their own crisp, clean gift bag. As he does so, I go through the basics. “Do you drink wine?” I ask. The boy does not. “Do you drink beer?” I ask. The boy does not. “How about cigarettes?” I ask. The boy thinks for a moment, and then says no. A motorcycle splutters past. Then another. Kalaw’s rhythms are foreign to me, but it is a town of domestic migrants, of opportunity and of tourists. I can categorise it: and Albert and I at least fit in here, there is a role to play, unlike many other idiosyncratic villages and towns across the country, down potted roads and one-lane “highways”. The sun descends. Cinnamon turns to peach. We load the boot of the Kia up with our mysterious wine, pay and leave. 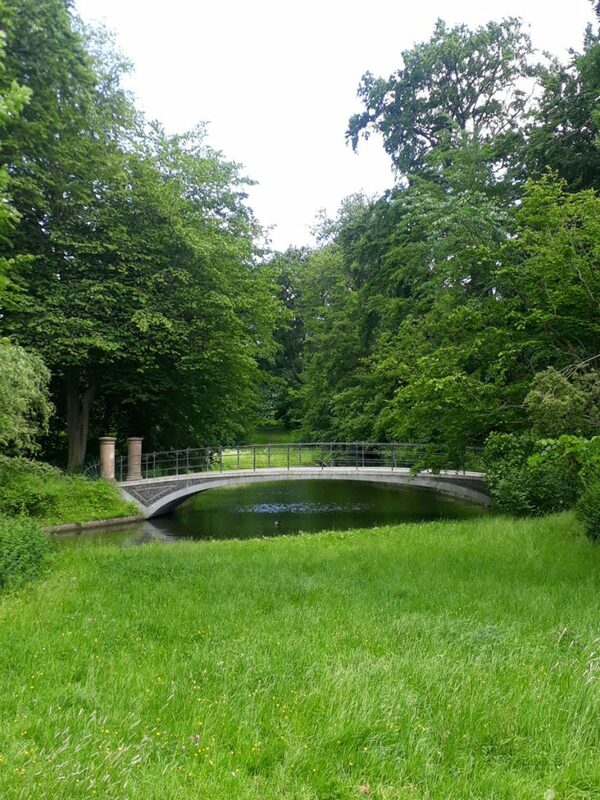 June 22-25 saw the ADHS conference being held in Utrecht, the Netherlands, an absolutely gorgeous town. 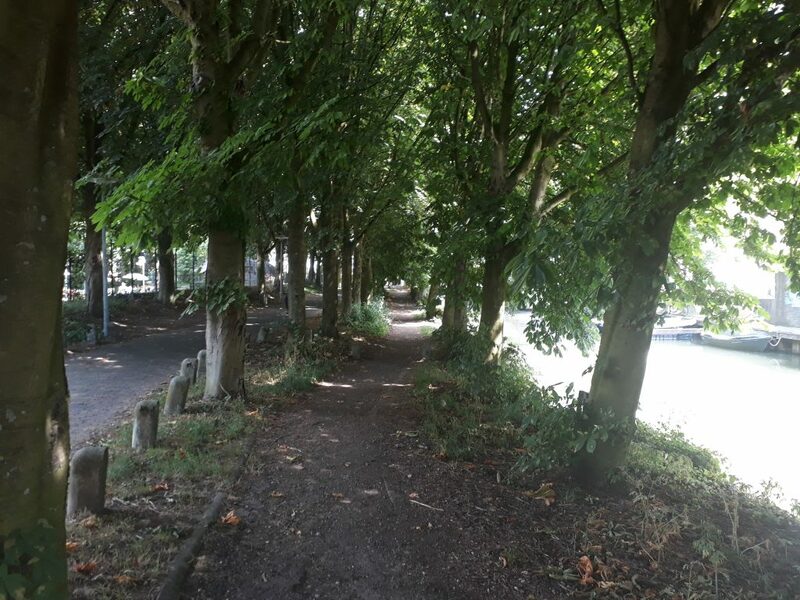 It is small, criss-crossed with canals and dappled all green in summer. The people are friendly, the beer is cheap and there are dozens of delightful bakeries dotted about to light up the mornings with coffee and appleflaps. I really enjoyed the week I stayed there. The conference was well-organised by the Utrecht team and very impressive on the whole. 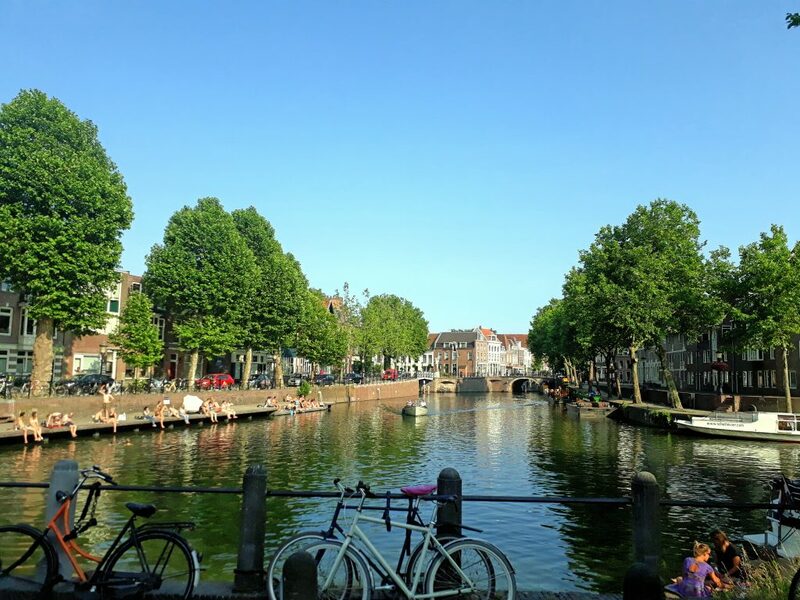 Before discussing some of the papers and the events of the conference, here are a bunch of photos of lovely Utrecht and a few of the presentations and talks. 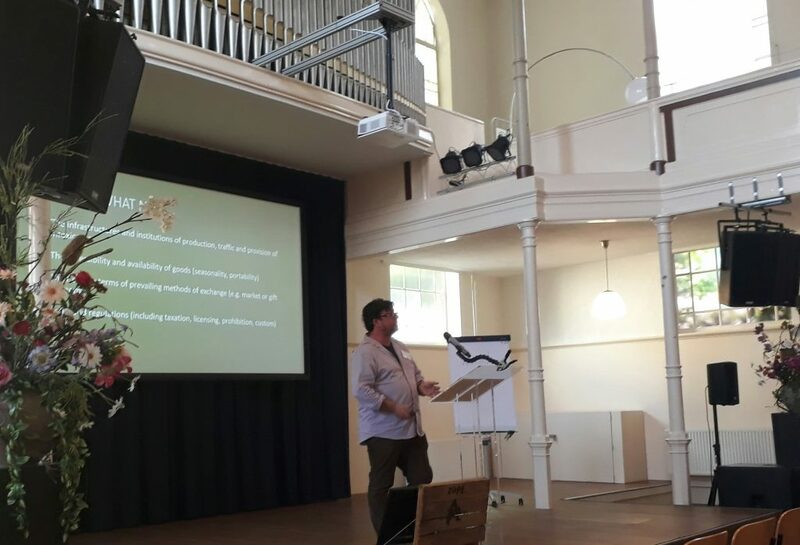 It was a pleasure being able to see Charles Ambler present, having cited a lot of his literature on the regulation of alcohol in the British colonies of Africa. 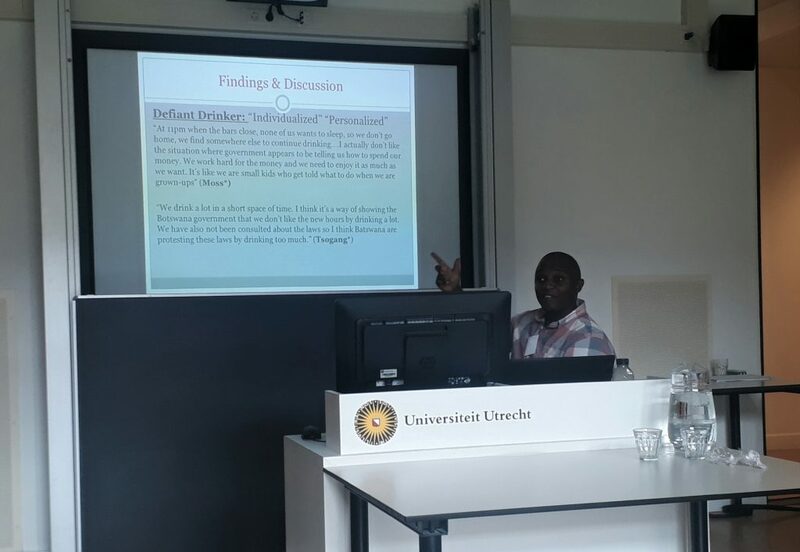 His paper was a bit more ambitious than I was expecting, trying to draw a connection between “decolonisation” and the evolution of international drug regulation. He was also one of the few presenters to mention Burma, surprisingly, in the context of indirect rule in the Shan States and the weakness of the central government. One of the best panels was on intoxicants in the early modern period of European history. 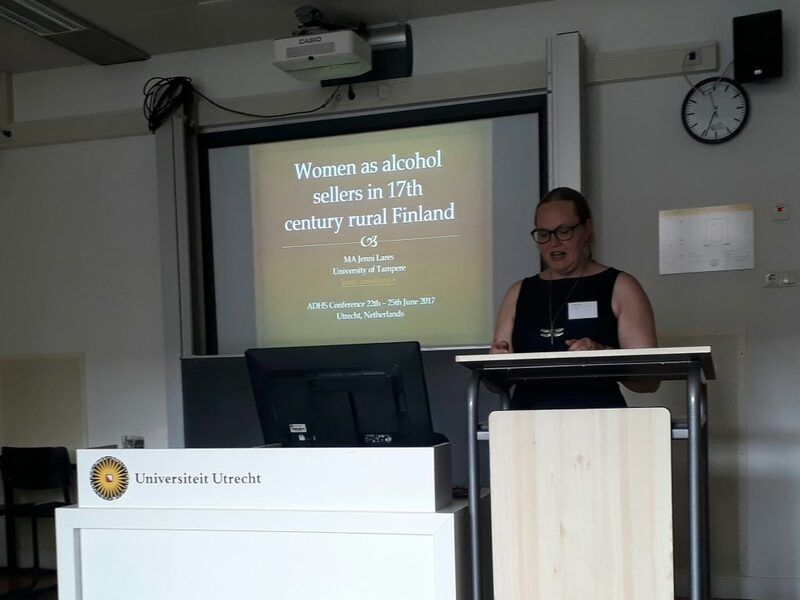 Jenni Lares gave a tight, contained historical analysis of female alcohol sellers in 17th-century Finland, trying to exercise a comparative approach with Bennett’s work on brewsters in England. 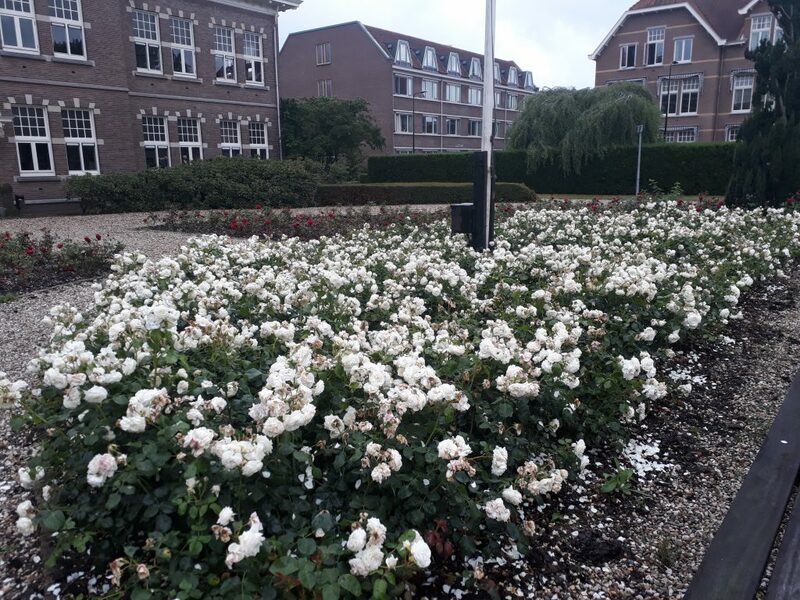 This was followed by Richard Yntema‘s detailed investigation into the political economy of alcohol in the Netherlands in the same time period, using a lot of quantitative data. Then Alex Taylor focused on tobacco smuggling into England, which was very good fun. 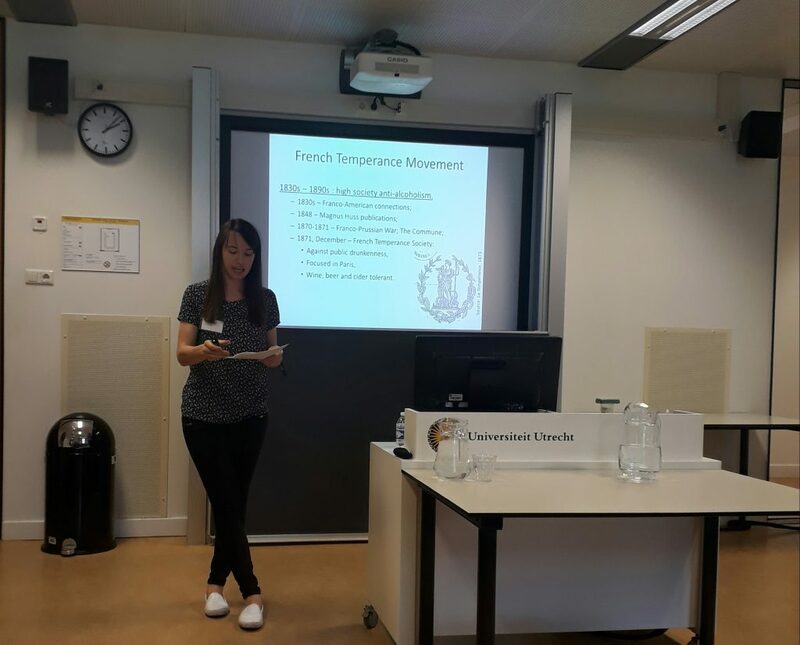 Victoria Afanasyeva went deep into women’s history in the French temperance movement, something which has been little investigated – surprising given the attention it has been given in the US and UK. It was pleasing to be able to sit in on some opium papers, a subject of endless fascination for its contemporary “problem” associations. I particularly enjoyed Thembisa Waetjen and Jamie Banks discussing South Africa and indentured labour in this context. There were many more great papers which I won’t go into for brevity’s sake. My own paper went down fine. A couple of the panels were a little squished for time – some were 90 minutes for two presentations, others had to fit in four papers in the same time period, leaving little for discussion. One thing I noticed was a distinct lack of engagement with local-language sources by the colonial historians. This is quite standard in the discipline, but seems very limiting when you come from an anthropological background and consider that it is, indeed, 2017. There was also a strong European focus, with the US and colonial history bringing up the rear. Little attention was given to Asia and Africa and almost nothing before the early modern period, when drugs history apparently “starts”. The society is mulling over the location for the next conference and I hope to be able to get there. Shanghai is being considered, which would be simply sensational. 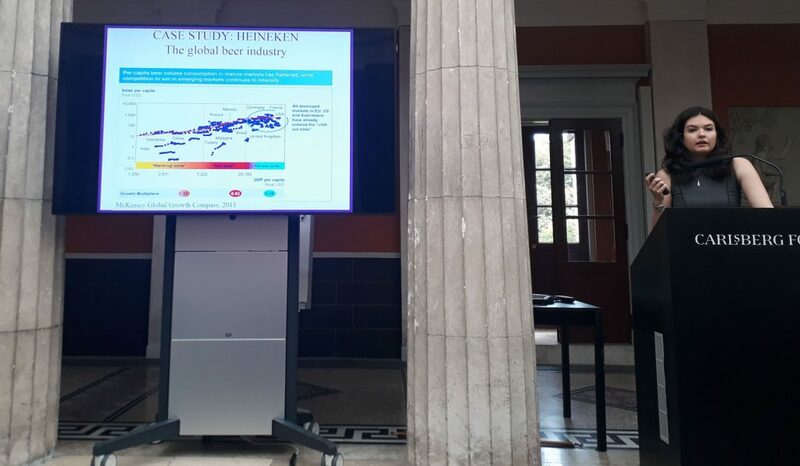 I have just finished participating in the Economics of Beer conference hosted by the Copenhagen Business School and the Carlsberg Foundation. 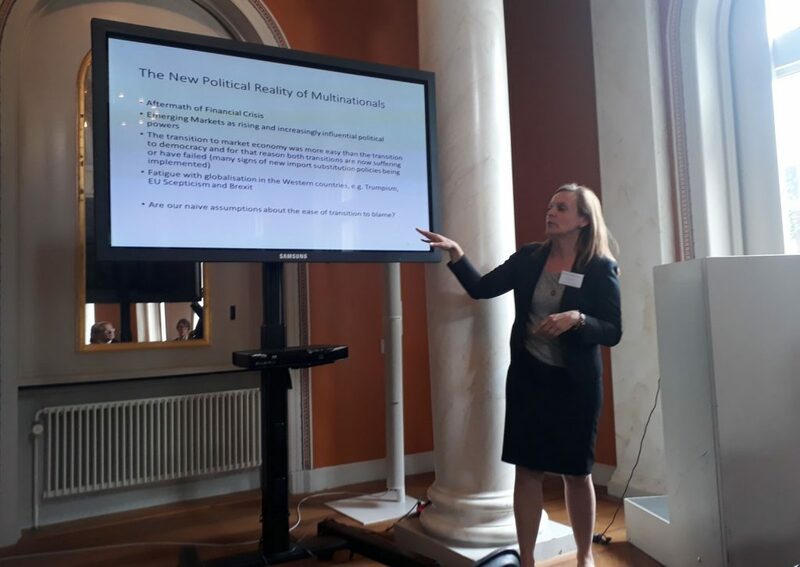 It was a really great conference, combining academic rigour with collegiality and many opportunities for socialising and learning about Danish culture and Danish beer. 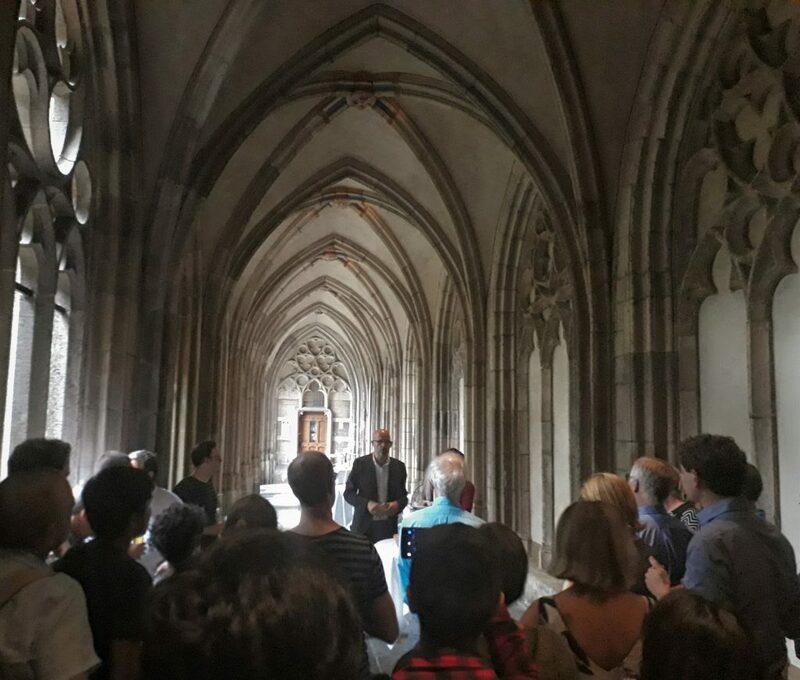 I think I speak for all participants when I say it was a very successful event, and I look forward to the next conference in 2019, which should be hosted in Pilsen, Czech Republic. Before going into the research proper, here are some photographs of lovely Copenhagen, one of the bars we visited (as part of the conference program there were two brewery tours and two bar tours) and some of the presenters speaking in the plush Carlsberg Academy. I drank a large quantity of free beers over the course of this conference, some of which were quite good. Two special beers were made available: the Carlsberg Rebrew (read about this on Cornell’s and Pattison’s blogs), which I very much enjoyed, though struggled to discover the “old” in it, and the Copenhagen Business School’s Centenary IPA. This was a 6.5% ABV Westcoast IPA brewed to celebrate CBS reaching 100 years of business education. It was delicious and set the mood for the conference very well. Other beer highlights were Warpigs’ Kaffestout and Last Rites IPA and the full range of Mikkeller beers we were supplied with. 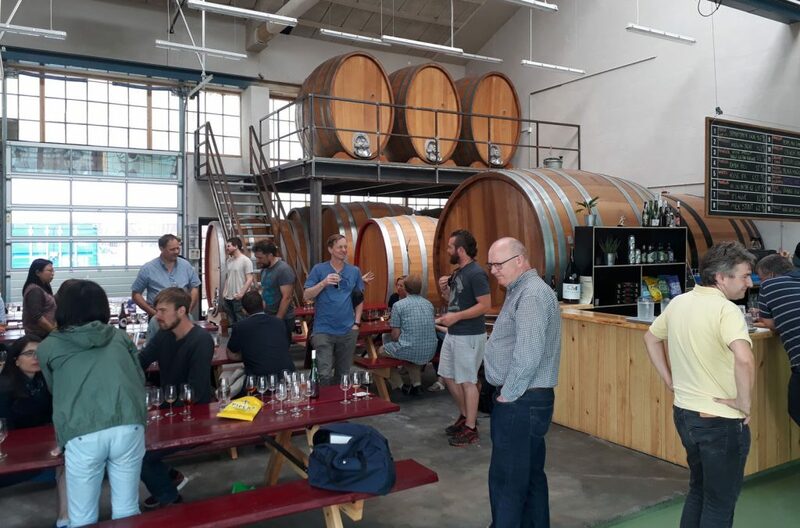 In addition to academic papers, the conference was fortunate enough to hear from Danish beer heavyweights Flemming Besenbacher, Carlsberg Chairman, and Jacob Gram Alsing, Mikkeller Operations Manager. These were great talks and I was fortunate enough to have a ripping yarn with Jacob afterwards. Mikkeller are truly a unique operation in the beer world. We discussed Mikkeller’s Asia operations and its investigations into the Myanmar market. Carlos Eduardo Hernandez presented a compelling case for why the US brewing industry moved west in the latter nineteenth-century. Essentially, the answer was bottling. He also discussed comparative advantages between brewing locations in the midwest. Kitayama, Williams and Takeshita examined the relationship between corporate governance and internationalisation strategies of major Japanese breweries. I found their discussion of corporate governance differences between Suntory and Kirin particularly fruitful for my own understanding of Myanmar’s industry, and Kirin’s partnership with the Tatmadaw. Kind and Kaiser had a work-in-progress report on how climate change could affect the value chain of the beer sector in Germany. In doing so it used case studies of hail and drought in Hallertau and drought in the southwestern US. Although very exploratory, this was a great paper that drew attention to the bigger issues. I also enjoyed Steriu and William‘s presentation on Heineken’s internationalisation strategy, again for its relevance to the Myanmar market. Interestingly they were positive about Heineken’s Myanmar work and applied agency to their ability to keep other entrants out of the market, which I thought was quite peculiar. 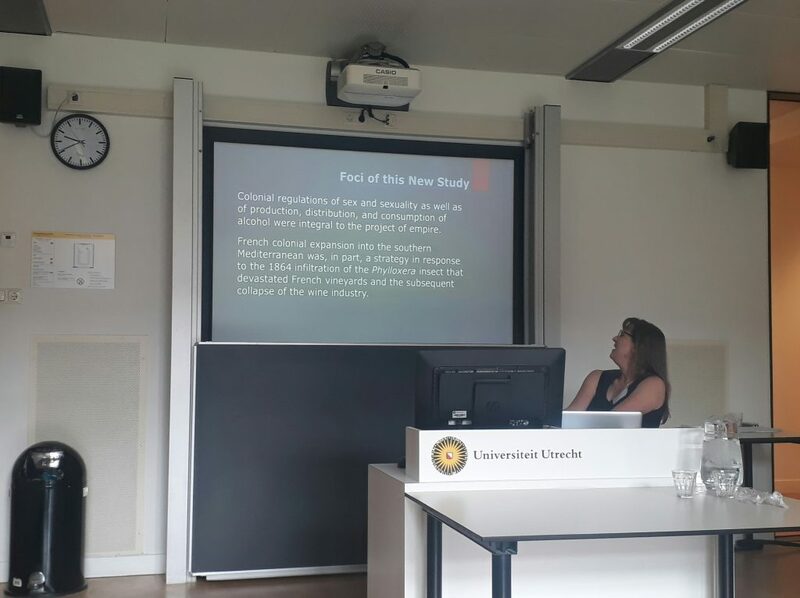 There was also a fun panel on regulation of beer in the United States with some good qualitative and historical work thrown in between econometrics papers. 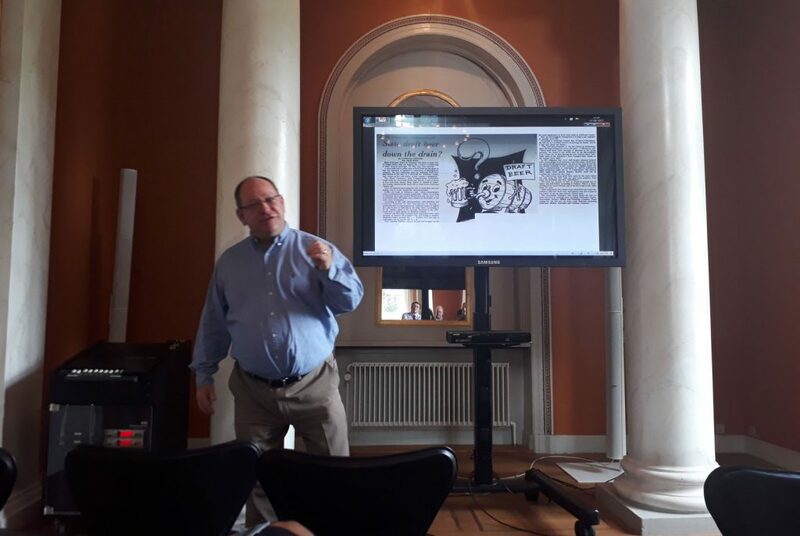 Richard White delivered his paper on Alabama’s idiosyncratic history of regulation with particular verve and enthusiasm. There were some big picture works on the craft beer revolution and the launch of a book from the society with the same name. Stack and Wagner seemed to be doing the most to understand the revolution in the US from a supply/demand, large-scale level. But the other papers on clustering, particular national craft beer sectors and consumer taste preferences were also food for thought. The plenary session was on new research frontiers in beer economics. Of course, there is no shortage. But even so, Jen Gaamelgaard did a great job distilling and presenting these. For those interested, the main book presentation was for The Craft Beer Revolution: A Global Economic Perspective, published by Palgrave Macmillan. 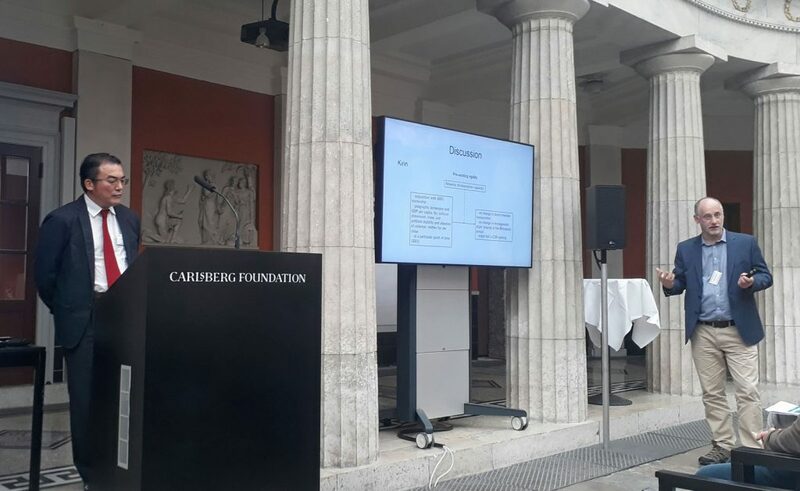 Lastly, a big thanks to the Carlsberg Foundation for funding my participation in the PhD workshop at this conference.